Flanders is home to 3D-printing. The 王-BIKE, the combined expertise of over 15 companies and research institutes, demonstrates the endless possibilities of 3D-printing in the region. Some news that must be coming from a region with a rich surrealist history: they did not make a 3D-printed bike in Flanders. 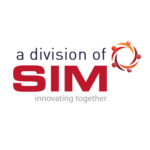 Rather, they’ve been working with the combined expertise and experience of 13 Flemish companies and 2 research institutes, demonstrating real innovations in Additive Manufacturing and an obvious eagerness to cooperate. The result happens to look like a bicycle. The added value is also in the cooperation itself: 3D-printing a bike is not such a big deal any more. What 3D-printing really needs nowadays, is cooperation. Beyond the hype, there’s a world in which we have to work together – both in- and outside the AM ecosystem. Flanders is ready for that reality. 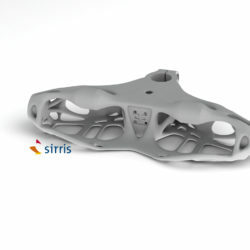 A second reason for creating the bike, is the 3D-hype itself: 3D-printing has been tremendously hyped, yet many companies are barely aware of the actual potential of Additive Manufacturing. The bike is therefore a demonstration tool created to inform companies as well as educational institutions. The result of the cooperation was revealed during an important business- and cycling event at the famous “Zolder Race Circuit” on August 27th. The bike will afterwards travel around to events and fairs with the main aim of informing companies and schools on the possibilities of Additive Manufacturing. 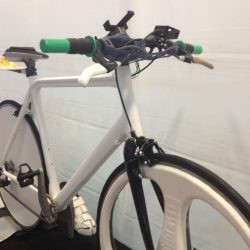 The following companies and research institutes collaborated on the Bike: 3D&I, 3Dee, Formando, Hoet, KULeuven, Layered Prints, Materialise, MT3D, REIN4CED, RSPrint, Sirris, T&M Solutions, Tenco DDM, Ugent and Vamac. The creation of the bicycle was also supported by: Ridley Bikes, r-l-f, Mobi-bikes, Bodycote HIP, koopjefiets.be and Flanders Innovation & Entrepreneurship.